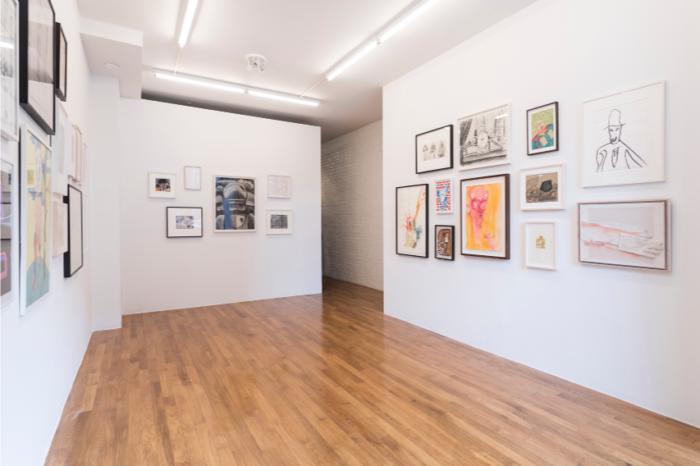 Mixed bag at Real Estate Gallery curated by Joe Bradley and Jeremy Willis, installation view. 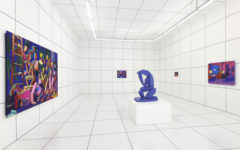 Images courtesy of the artists and Real Estate Gallery. 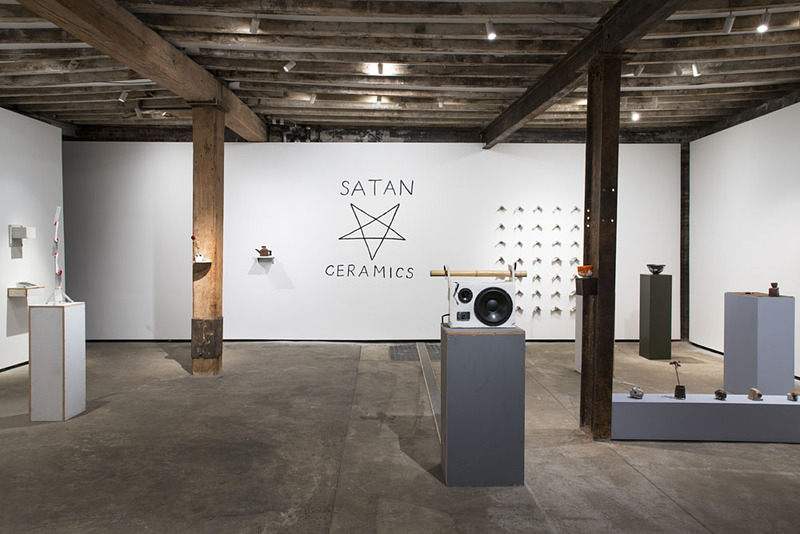 Mixed Bag is the title of the show currently on view at Real Estate in Greenpoint, Brooklyn. The walls of the modest venue are covered in small-scale drawings and paintings from veteran, mid-career, and emerging artists. While “mixed bag” implies an assortment of things randomly tossed together, it also suggests both positive and negative elements. And there is a polarity to the show, tensions between opposing forces. 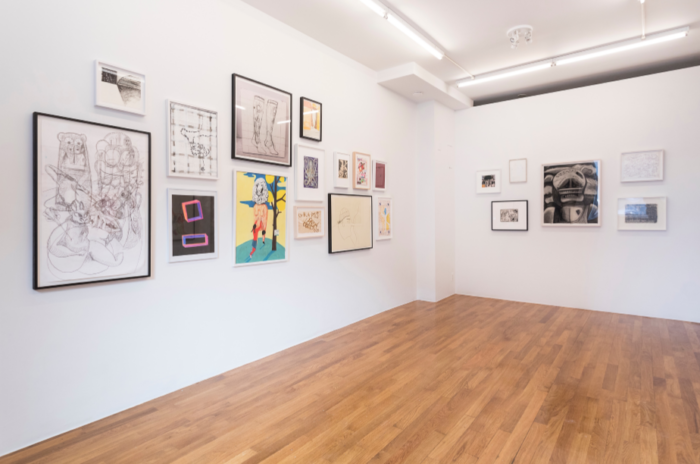 Mixed Bag is curated by Jeremy Willis and Joe Bradley, who are actually firmly linked in multiple instances to artists in the show as these artists are also linked to each other. 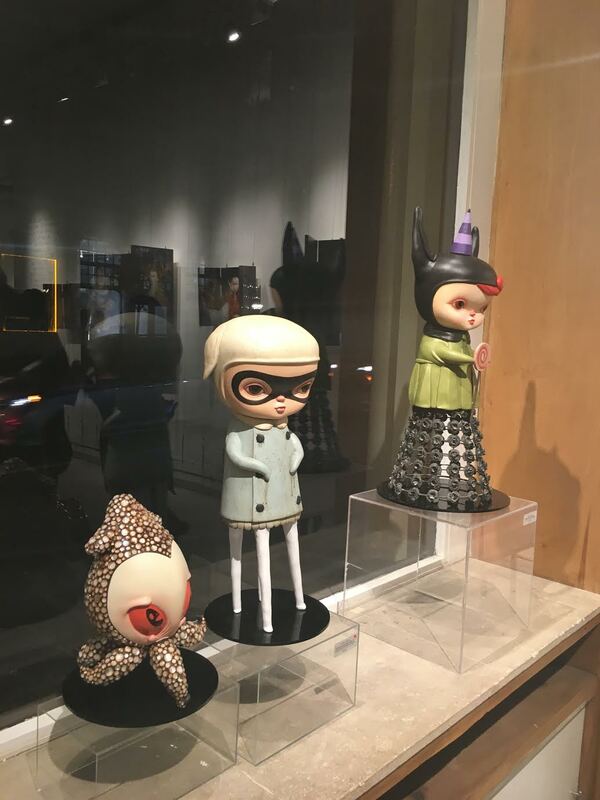 This exhibition is anything but randomly thrown together. 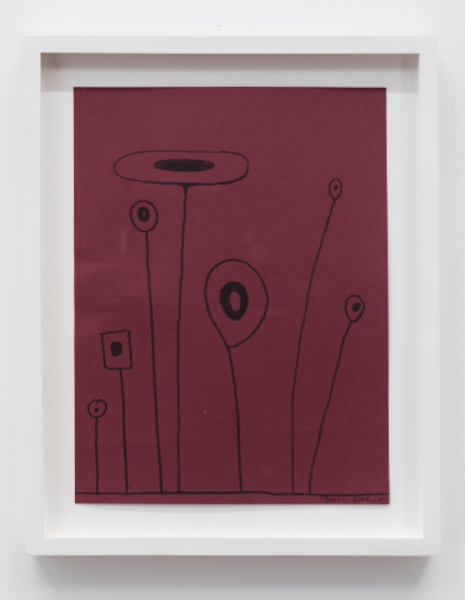 Joe Bradley has been involved in shows with several of the artists showing in Mixed Bag, including Steve DiBenedetto, Michael Williams, Brian Bellot, and Chris Martin. 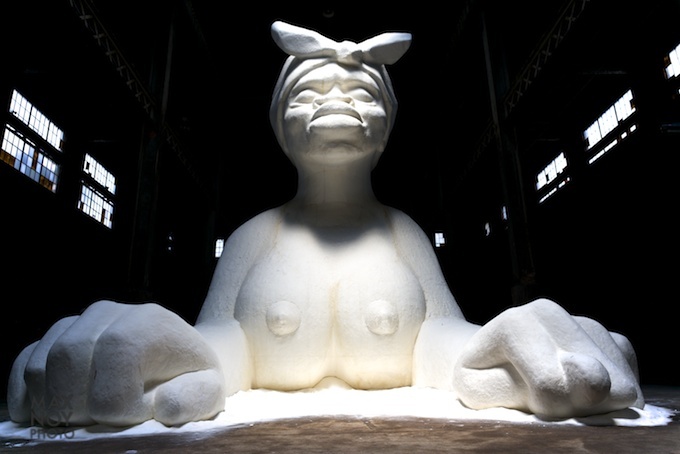 Like Willis, Lisa Corinne Davis is a graduate of Hunter College’s fine arts program and currently a professor there. 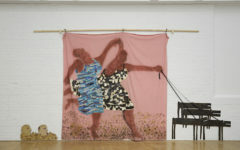 Another Hunter graduate, Alteronce Gumby, did an in-depth interview with Stanley Whitney for BOMB Magazine where he discussed some of the fundamental ideas behind his work. 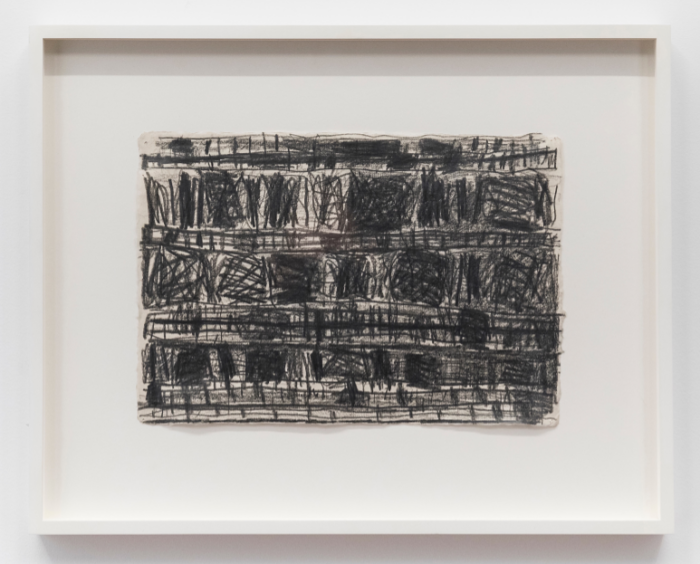 Stanley Whitney, Untitled, 1996, graphite lead on rice paper, 9 x 13 inches. Stanley Whitney is well known for his colorful, abstract paintings. 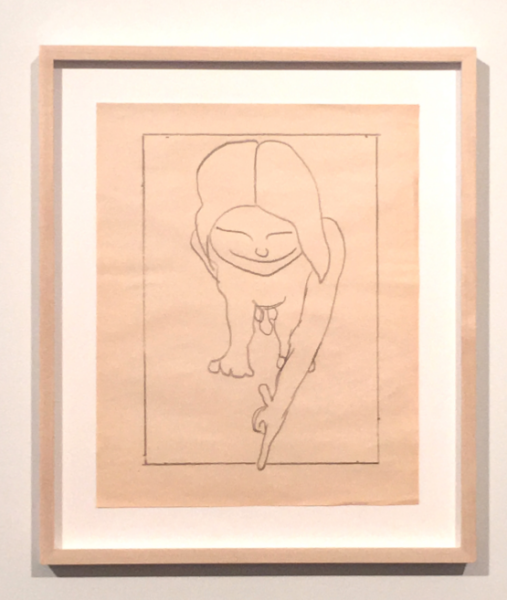 However, in a 2015 interview with Alteronce Gumby for BOMB Magazine’s Oral History Project, which documented the life stories of New York City’s black artists, Whitney discussed the profound importance of drawing and line. He said, “For me . . . I always had color. I was born with the color. But to put the color in the right space and give it a real intellect, you need to do drawing.” He sites Mondrian, Morris Louis, and Van Gogh as having great influence on his drawing, especially when he got most bogged down in his painting. And even Stanley’s paintings are based on drawn grids, which he then paints on top of. “There’s the grid,” he goes on to explained, “which should be very orderly, and then you put the color, and it throws the whole thing off.” Untitled (1996) is a black and white drawing done in graphite on white paper. Black color blocks dance within a loose grid. 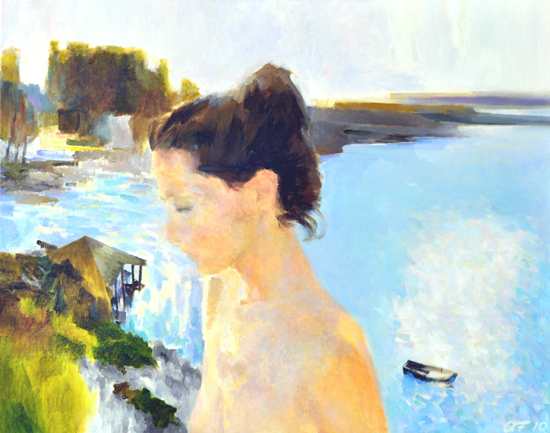 The piece is just as lively as his paintings and reminiscent of sheet music in form. The animated playing of black and white piano keys may also come to mind. In that same BOMB Magazine interview, Whitney discusses the large significance music has had in his life, owing to his existence and development within the black community. Lisa Corinne Davis serves as Head of Drawing at Hunter. Her abstract work is more directly rooted in cultural identity than Stanley’s, and in issues of social categorization, but is defined by a similar push and pull between mathematical lines and organic expression. Congenital Computation (2017) is a black and white painting done in acrylic. An imperfect grid is present, made-up of prominent black and white lines that seem to work as bars behind which a webbing stretches and gathers, giving the piece an uneven depth and course through space and time. Something resembling a necklace chain with a diamond-cut ball at the end appears to swing and unravel from one of the bars. Evoked is the interplay between incarceration, segregation, race, and class throughout American history and in our current society and culture. 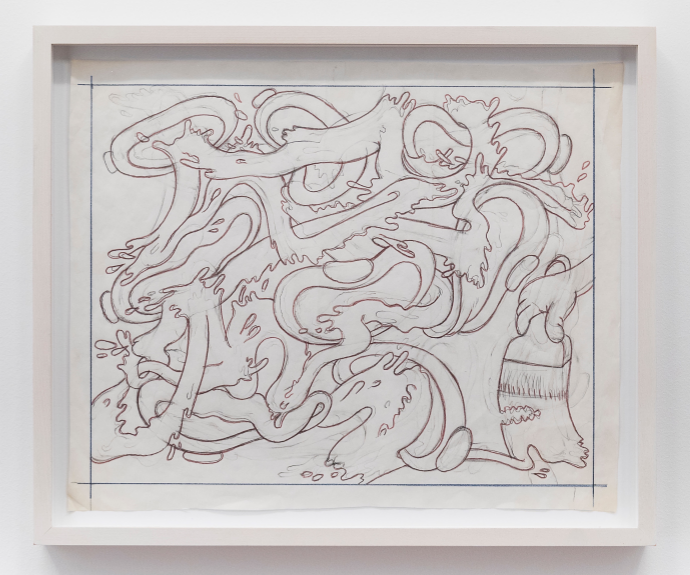 Peter Saul, Untitled, pencil on paper, 12 1/4 x 15 1/4 inches. Peter Saul addresses cultural identity and American politics head-on with outrageous, even deranged, figurative paintings. He has depicted nazis, stereotypical Jews, lurid scenes of the Vietnam war, and political figures such as Hitler, Stalin, Reagan, Bush, and Trump. Stylistically, his art draws on both Surrealism and comic art and is an unlikely mixture of beauty and negativity. Like Whitney, Saul is well known for his bright and colorful painting, while placing a great and lesser known importance on drawing. Saul usually draws his subject matter several times before moving on to paint and sometimes leaves the lines showing through as guidelines. Untitled (Date unknown) is a pencil and paper piece that depicts a maze of paint that sloshes down the page ending in a brush that is being ripped from the design by a cartoon character making a getaway off the page–only it’s hand visible in the right-hand corner. In Saul’s signature way, it is a skillfully executed piece infused with wit and humor. 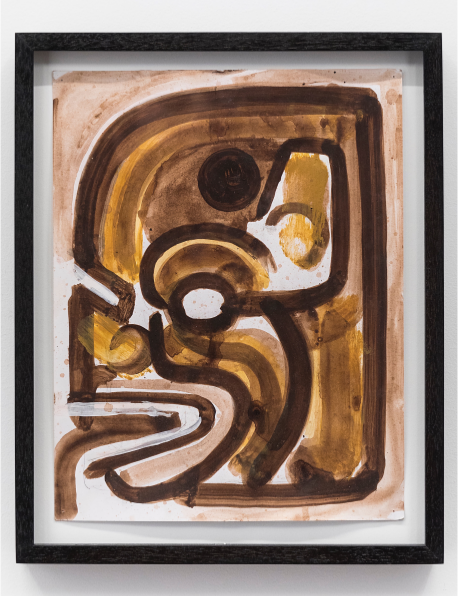 Brian Belott, Grumps, 2014, mustard on paper 8 1/4 x 13 5/8 inches. Grumps (2014) is a perfect example of these opposing impulses at work. A misshapen bunch of grapes is painted on a rumpled piece of paper with corners slightly torn. 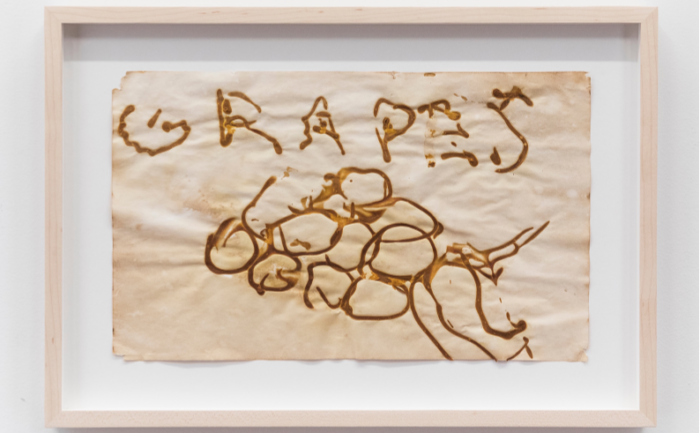 The word “grapes” is painted above in large, capital letters. The piece seems to play off the classic still-life, while resembling a makeshift, cardboard sign one might see at any fruit stand. 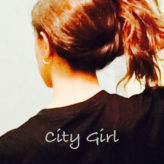 It’s subject matter is sweet. It’s title is sour, bringing the phrase sour grapes to mind; these grapes that cannot be eaten and have been painted using mustard. When you enter Mixed Bag the title seems perfectly apt, but scratch a bit at the surface, and it becomes quite clear that the artists featured here are not a randomly thrown together bunch at all. They are a carefully hand-selected group bound together by educational institutions, professional projects, and shared concepts. 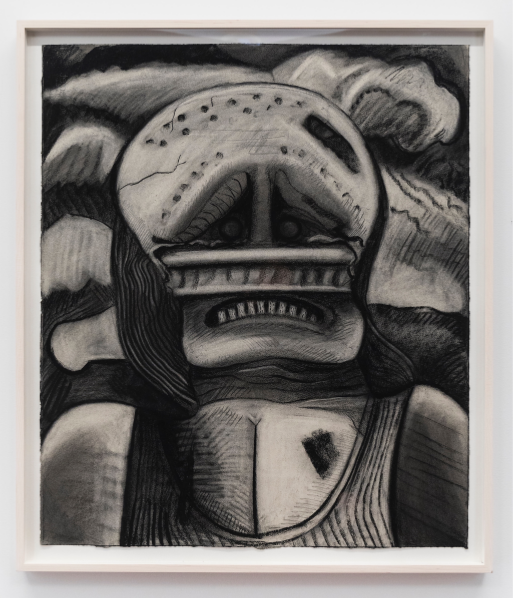 Dana Schutz, Bat ,2018, charcoal on paper, 30 3/4 x 26 inches. Steve Keister, Bat Hatcha, 2009, acrylic and pencil on paper, 18 3/8 x 12 1/8 inches. 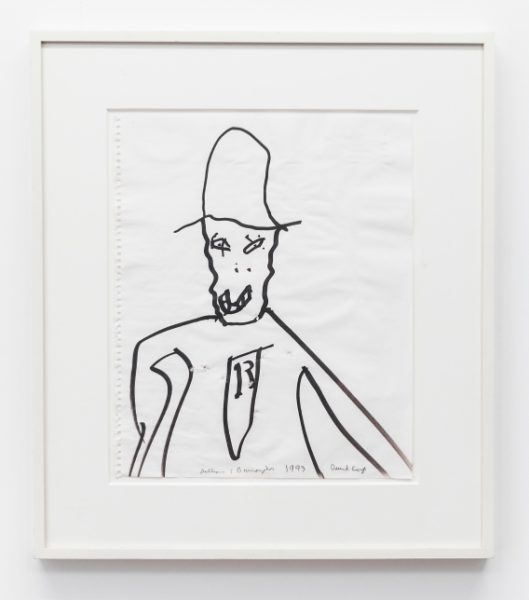 William Burroughs, Drunk Cop, 1993, marker and BBs on paper, 16 3/4 x 14 inches. Joe Bradley, Untitled, pencil on paper, 13 1/4 x 11 inches. Chris Martin, Basel, 2008, marker on paper, 12 x 9 inches.